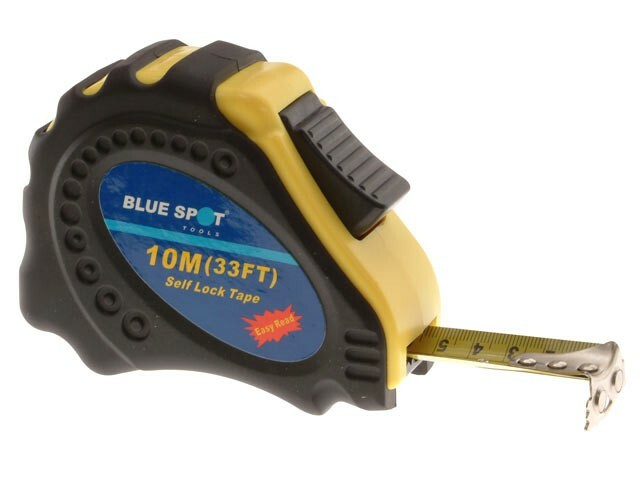 This BlueSpot Tools Magnetic Pocket Tape has a steel blade with easy-to-read metric and imperial graduations. With a rubberised, impact resistant case for increased comfort. It is self-locking for ease of use and increased safety. With a magnetic end hook, ideal for trying to measure between metallic surfaces.